One thing you can count on for Content Marketing World 2018 is that you will exercise your mind and stretch your thinking. With over 200 speakers, more than a dozen tracks, workshops, and labs, your brain will get a great workout! But we are also trying to make it easy for you stay fit all over during your time in Cleveland. Besides taking advantage of the exercise facilities at your hotel, we’ll be gathering like-minded friends for running/walking and yoga. Once again, avid runner and CMI creative director Joseph Kalinowski has mapped out a path that will take runners/walkers around some of the city’s biggest attractions – the Rock ‘n Roll Hall of fame, Lake Erie, the Browns stadium and more. You don’t have to be a fitness fanatic to join in. JK, who recently completed yet another half-marathon, will have a few buddies to help runners/walkers navigate at their own pace. Why not get some exercise and fresh air while getting to know the city a bit more? The group will meet at 6am at the Lakeside entrance. By the way, JK is not all run and no fun. In fact, his running ventures around CLE have helped him spot some of the best breweries in town. Check out his blog about these local spots and know that if you get some morning exercise, you’ll appreciate (and deserve) a cold local brew in the evening even more! For those who like to start their day with mindful meditation and exercise, we’ll be meeting for yoga inside the Huntington convention center at 6am on Wednesday and Thursday mornings. All skill levels are welcome! We’ll have additional details at registration. If you have a favorite mat at home, bring it along! And for those of you who have your own routine but are looking for some fun, we’ve got that too. We’ll have games set up in the CMWorld Backyard in the lower hall with views of Lake Erie. Take a brain break and play some ping pong or some corn hole. Just beyond our backyard you’ll even see pigs, chickens, and honey-making bees – all part of the Huntington Convention Center’s sustainability efforts. While walking to sessions in the Huntington Convention Center of Cleveland DOES add up to quite a few steps over the course of the week, consider joining us for one of our group activities or playing a few backyard games. 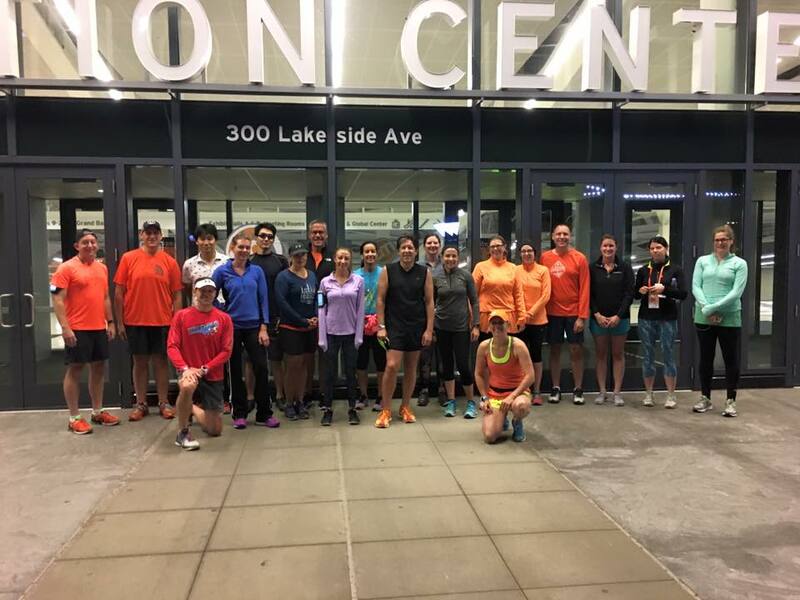 Downtown Cleveland is also home to many other fitness facilities that are walkable or a short Uber or Lyft ride from hotels. Content strategist Amy Higgins plans to visit a favorite boxing club when she returns this year. Clevelanders: What did we miss? What’s your favorite downtown Cleveland fitness facility? And visitors: what’s your workout of choice? For our #CMWorld attendees, if you’re looking for a workout buddy, jump on to the CMWorld app (live in just a few short weeks) or on the #CMWorld Twitter hashtag to find some fellow yogis, spinning or boxing enthusiasts, or an early morning walking pal. We look forward to welcoming you to Cleveland. Still not registered? There’s still time! Visit our website for details and registration links. Don’t forget: Use code CMWBLOG for $100 off main conference, main conference plus and all-access registrations. See you soon!